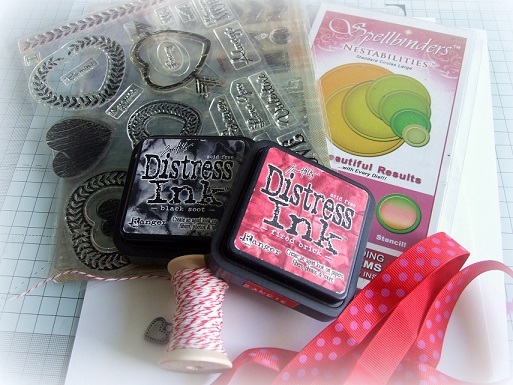 We have another guest post from Waltzingmouse Stamps today by the wonderful Sandie Dunne….enjoy! Hi, it’s Sandie here with another quick and easy tutorial. 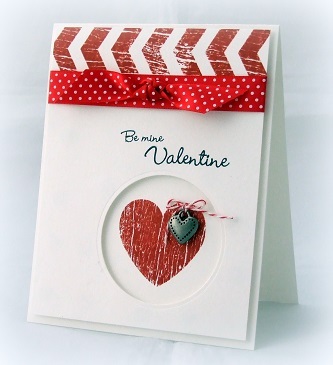 This month I am making a Valentine card featuring Woodgrain and My Heart stamp sets from Waltzingmouse Stamps. 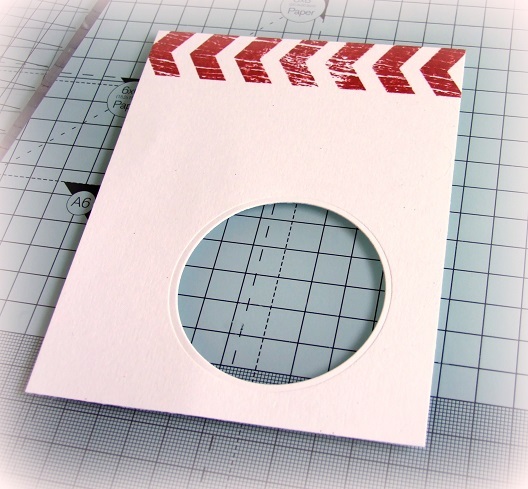 Fold the white card and make a card base 120mm x 210mm. Cut a front panel 115mm x 205mm. 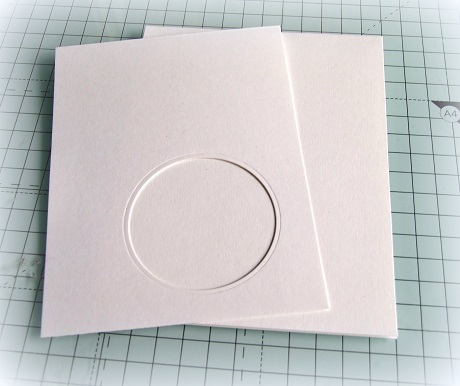 Taking the 2.75″ circle die cut out a circle slightly off centre towards the bottom right of the front panel. 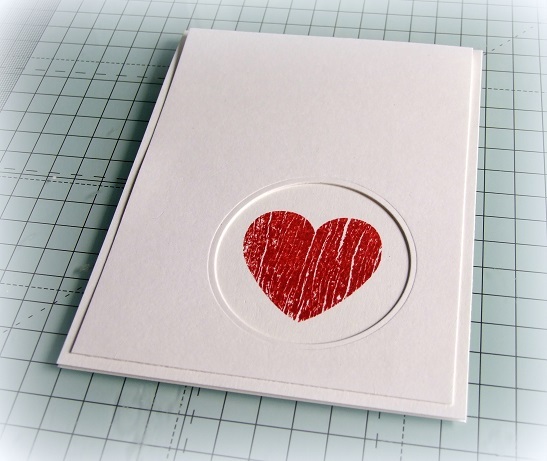 Position the front panel on top of the card base – do NOT adhere it at this point – and stamp the heart from the My Heart stamp set with red ink in the centre of the circle. Set the card base aside. Taking the front panel, stamp the chevron border with red ink across the top. Then, using black ink, stamp the sentiment, which is made with two stamps from My Heart. Finally, add some ribbon, and a bow just under the chevron border. 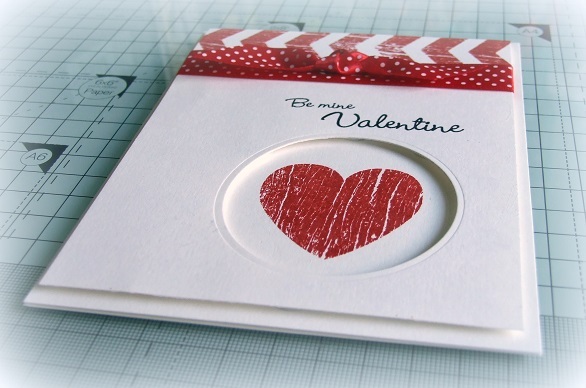 Adhered the front panel to the card base with 3D tape or dots, positioning the circle over the stamped heart. 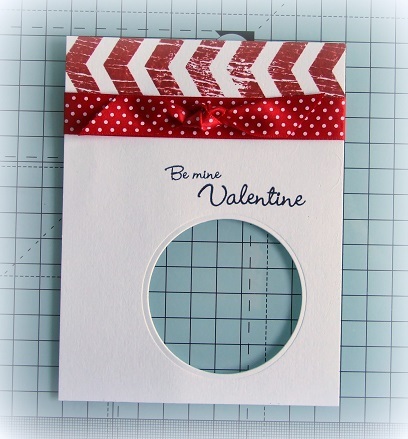 Add some baker’s twine through the loop of the heart charm and adhere to the right hand side of the stamped heart with a strong wet glue. 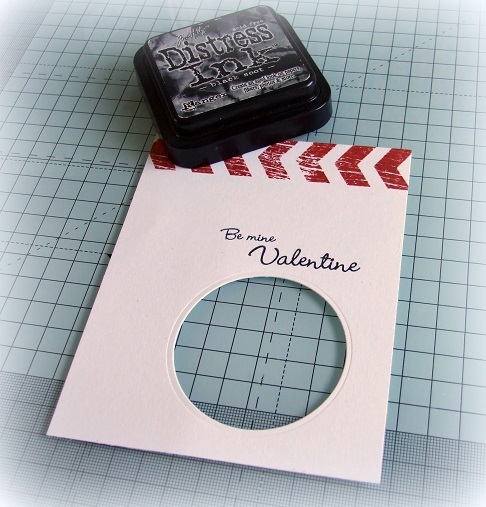 Stamp a sentiment inside, or add an insert to finish the card. 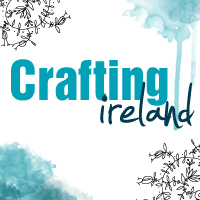 We hope you enjoyed this tutorial from Sandie. 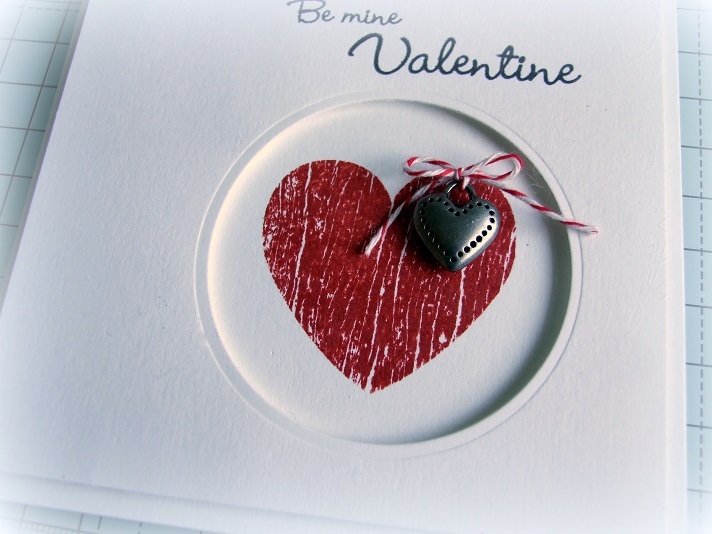 It is such a gorgeous card and very easy to replicate or adapt with any other stamps you have! That is a cute card! Really good tutorial!